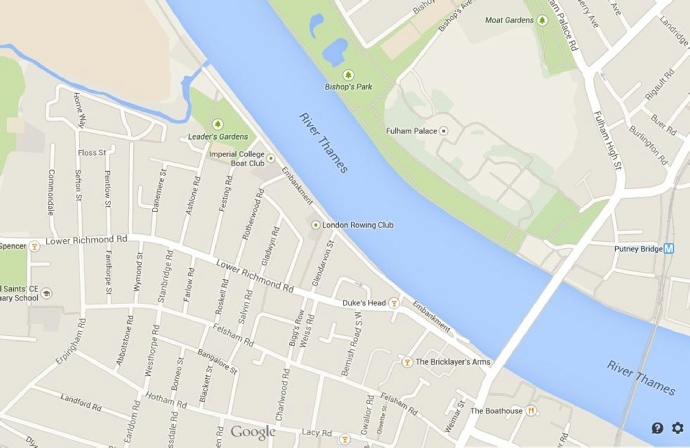 We are approximately three quarters of a mile West of Putney Bridge, off the Lower Richmond Road. The link below to the TFL Journey Planner will help you plan any journey around London by public transport. If for example you are coming from Liverpool Street Station. Commondale is our nearest bus stop, approximately 50 yards away on the Lower Richmond Road.